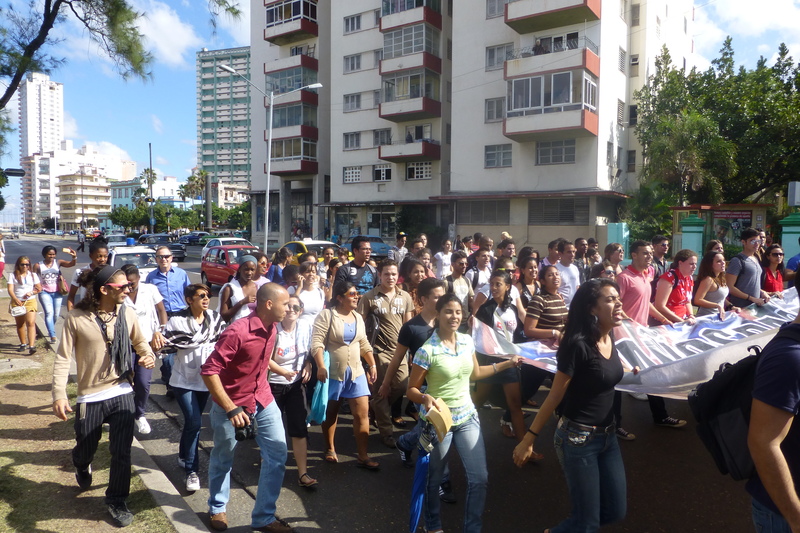 Students from the Instituto Superior de Relaciones Exteriores celebrate the release of the Cuban Five. Published January 5, 2015 at 4320 × 2880 in History, seen from Havana. Post a comment or leave a trackback: Trackback URL.